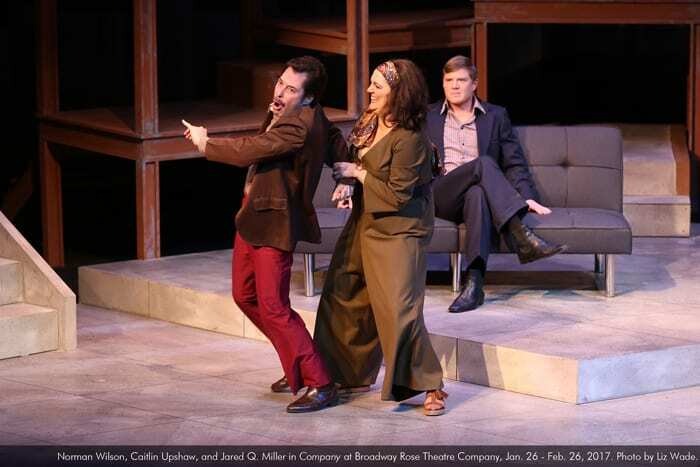 A trailblazer of the dark-comedy, modern-musical genre and winner of six Tony Awards including Best Musical and Best Score, Company continues to bewitch audiences with clever storytelling and emotional resonance. On the night of his 35th birthday, confirmed bachelor Robert contemplates his unmarried state. Through a series of humorous and touching vignettes, his married friends illustrate the pros and cons of taking on a spouse, forcing Robert to question his adamant retention of singlehood. 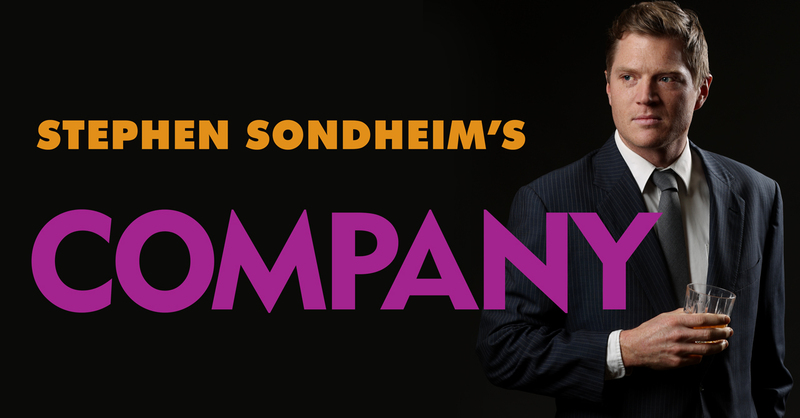 Set to a brilliantly brisk and energetic score containing many of Stephen Sondheim’s most popular show-stoppers, Company is sophisticated, whip-smart funny, and profoundly alive. Parental guidance suggested. Content advisories. Jared Q. Miller is elated to be back at Broadway Rose, having previously played Curly in the Broadway Rose production of Oklahoma! Other Portland area credits include Othello and Somewhere in Time at Portland Center Stage, Next to Normal and The Understudy at Artists Repertory, and Bloody Bloody Andrew Jackson and The Huntsmen at Portland Playhouse. Over the past ten years, Jared has had the opportunity to perform from Florida to Alaska to New York City – and many places in-between – but is ecstatic to once again call Portland home! Enjoy the show! 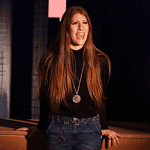 Caitlin Upshaw is thrilled to be making her debut with Broadway Rose! She most recently appeared as Sydney in It's a Bird...It's a Plane...It's Superman with Lakewood Theatre Company’s Lost Treasures Collection. Some favorite roles include Molly in One Touch of Venus (Lakewood), the tap-dancing prison matron in Hairspray (New Century Players), Kathleen in Find Me Beside You (Many Hats Collaboration), and Sheila in Hair (Radiant Theatre). By day, Caitlin is the human resources manager for Portland Center Stage at The Armory, and she moonlights as a blogger, lawyer, and cautious trail runner. Special thanks to her wife Liz for handling toddler duty during the show! Norman Wilson is pleased as punch to be in such good Company back at his second home, the Broadway Rose. Previous roles here include Aldolpho (Drammy Award) in The Drowsy Chaperone, Marcus Lycus in A Funny Thing Happened on the Way to the Forum, Marcellus Washburn in The Music Man, Skimbleshanks in Cats, Corny Collins in Hairspray, and more. Favorite roles outside of Tigard include brave Sir Robin in Spamalot at Lakewood Theatre Company, Rod in Avenue Q at triangle productions!, and Lucentio in Taming Of the Shrew at Bag & Baggage. Prior to migrating north, Norman lived and performed throughout the Los Angeles area at theaters including Musical Theatre West, Laguna Playhouse, Downey Civic Light Opera, and the Curtain Call Theatre. This one goes out to all the So Cal friends who provided such excellent company and made him the person he is today. Yes, they are responsible. Joel Walker is so happy to be back on stage at Broadway Rose with this amazing, talented crew. Most recently, Joel performed to sold-out houses at the Edinburgh Fringe Festival as a company member of Éowyn Emerald & Dancers. He has been on stage in Portland previously as Jimmy Smith in Thoroughly Modern Millie, Robert Martin in The Drowsy Chaperone (Drammy Award), and Phil Davis in White Christmas. With Broadway Rose he also played Sketch in Hairspray, Reuben in Joseph and the Amazing Technicolor Dreamcoat, and Don in A Chorus Line. Joel is a Portland native and received his training at Marymount Manhattan College in New York City. "Love and gratitude to Dan, Sharon, Annie, and the rest of the Broadway Rose family for all the support and opportunity." Emily Sahler is pleased to return to the Broadway Rose boards, having previously appeared here as Domina (A Funny Thing Happened on the Way to the Forum), Mrs. Meers (Thoroughly Modern Millie – Drammy finalist), Doatsey May (The Best Little Whorehouse in Texas), Barbara (The Bikinis - PAMTA, Best Ensemble), and Mrs. Tottendale (The Drowsy Chaperone - Drammy, Best Production.) Other favorite roles include Liza #3 (Liza! Liza! Liza!) at triangle productions!, Connie (Jack Goes Boating), Sister Lidwina (Gracie and the Atom), and Bette (The Marriage of Bette and Boo) at Artists Repertory Theatre; Rose (Gypsy), Jack’s Mother (Into the Woods – Drammy, Best Production), and Doreen (Tartuffe) at Lakewood Theatre Company; the Caterpillar (Alice in Wonderland, a Rock Opera) and Ms. Frizzle (The Magic School Bus Live!) at Oregon Children’s Theatre. Television credits: Grimm, Portlandia, and Leverage. Colin Wood holds an M.F.A. in acting from Minnesota State University, Mankato and has worked as an actor with professional theatre companies in Montana, Michigan, Minnesota, and Oregon. In addition to Broadway Rose Theatre, he has performed locally with the Beaverton Civic Theatre, Live On Stage, Tapestry Theatre, the Classic Greek Theatre of Oregon, Lakewood Theatre Company, Staged!, Bag&Baggage Productions, Stumptown Stages, and triangle productions! He has also performed at the Theatre Fringe Festival in Edinburgh, Scotland and is an Equity Membership Candidate. Favorite show credits include 110 In The Shade (File), Of Mice and Men (Lennie), Oklahoma! (Jud Fry), The Fantasticks (El Gallo), The Wild Party (Eddie), Guys and Dolls (Sky Masterson), The Taming of the Shrew (Petruchio), and The Rainmaker (Starbuck). 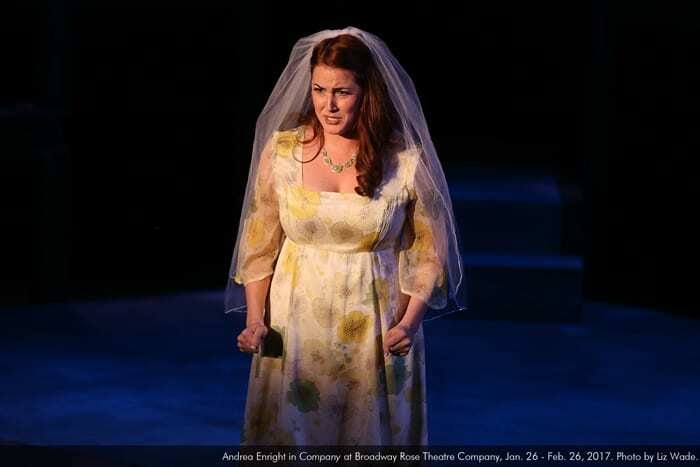 Andrea Enright is excited to be back at Broadway Rose after four years in New York City. You may have seen her on the Oregon stage in the ensembles of The King and I and Evita or in New York where her credits include Rona Lisa Peretti in The 25th Annual Putnam County Spelling Bee and Susan in Company at the Mount Carmel Theatre Company, as well as two world premiere musicals, Deployed, through the Society of Artistic Veterans, and Sophia! at Write Act Repertory. Andrea was also a finalist in the New York Musical Theatre Festival's Next Broadway Sensation competition in both 2012 and 2013 and is a proud graduate of Otterbein University and high school graduate of Interlochen Arts Academy. In memory of her loving husband, BJ. Tim Suenkel is very excited for his debut at Broadway Rose! Tim was most recently seen on stage playing Prince Eric in Coeur d'Alene Summer Theatre's Little Mermaid and Whizzer in Live On Stage's Falsettos. Tim also performs in Portland with the three-man vocal group, BelloVoci (www.bellovoci.com). Tim wishes to thank Sharon, Dan and Annie for this incredible opportunity! Love to Kevin and Acadian! "Today is for Amy!" Luisa Sermol is happy to be back again at Broadway Rose, having enjoyed being all the victims and both overbearing mothers in No Way to Treat a Lady! Other credits include Broadway, Off-Broadway, Williamstown Theater Festival, Portland Center Stage, Artists Repertory Theater (Drammy award: Sideman), Badass Theatre Company (Drammy: Sans Merci), Profile Theatre, CoHo Productions (Drammy: Heather Raffo’s 9 Parts of Desire), Cygnet Productions (Drammy: Bloody Poetry), and Miracle Theatre Group, (Drammy: Boleros for the Disenchanted). Film/television work includes Leverage, Personals, Zero Effect, Grimm, and the award-winning animated short Insect Poetry. In addition to a B.A. and M.A.T., she is a graduate of The Juilliard School. She is also proud to have been a teacher at Fowler Middle School for the past 12 years! "Special thanks to Tom for your love." 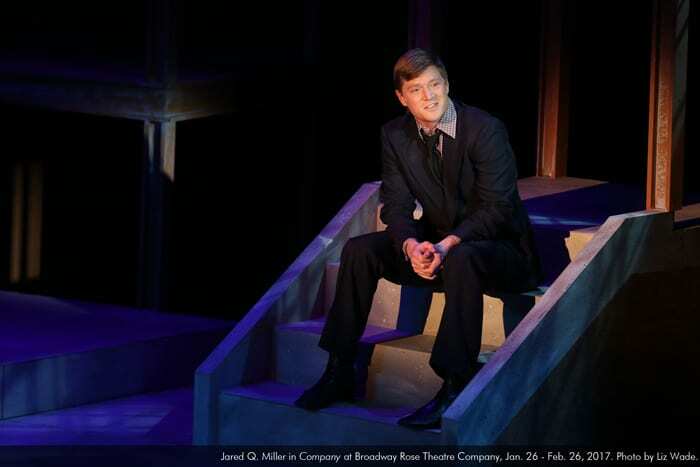 Kurt Raimer returns to Broadway Rose following his portrayal of Alfred/Sam in the 2009 production of Romance/Romance. Since then, some other Pacific Northwest credits include Next To Normal (Dan) for Capital Playhouse, Ragtime (Father) and Spamalot (Sir Galahad) for Coeur d’Alene Summer Theatre, Aida (Zoser) for Stumptown Stages, City of Angels (Stine) for Lakewood Theatre Company, The Secret Garden (Archibald) for Capital Playhouse, Sunset Boulevard (Ensemble) for Portland Center Stage. He has also performed as a soloist with the Oregon and Seattle Symphony Pops and just made his theatrical directing debut at Lakewood Theatre Company with 1776. "Thank you Beth for nearly twenty-three years of marriage and the four before that to make sure you could live with me." Renée Lawrence is so happy to be making her Broadway Rose debut! She recently moved to Oregon from New York City where she performed with the USO Show Troupe. She is a proud alumna of Oklahoma City University where she earned her degree in acting. She is currently a fitness instructor at barre3 Portland and an avid adventurer. 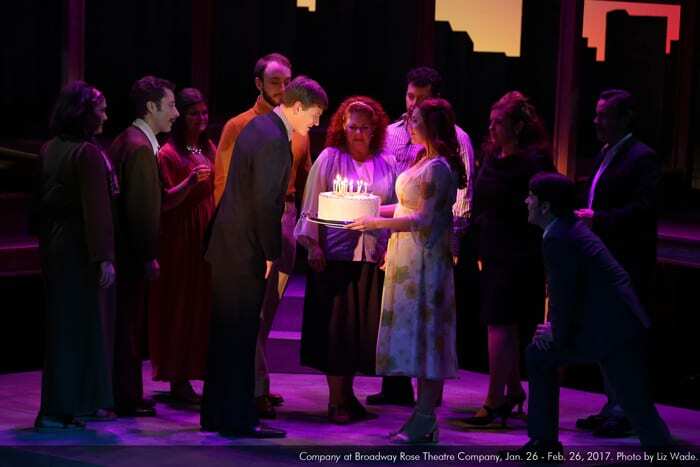 "Thank you to the Broadway Rose family for welcoming me with such open arms, the cast and crew, and all of you for coming to support live theater. Lots of love to family and friends near and far, especially my rock, Danny." 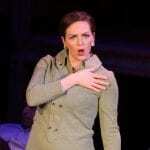 Caroline D'Ambrosi is excited to work with Broadway Rose again! She was last seen as Velma in West Side Story and played in the orchestra for A Funny Thing Happened on the Way to the Forum. 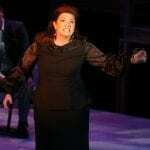 She received her degree in theatre administration from Wagner College in New York City. Favorite performances include 42nd Street and Thoroughly Modern Millie. "Love and thanks to Mike." Justine Davis is thrilled to be making her Broadway Rose debut. Originally from the West Coast, she spent the majority of her life in Kazakhstan, which she considers home. Favorite roles include Imago Theatre's La Belle (Lady Rose), CAP21's On The Town (Claire), Stumptown Stages' In The Heights (Vanessa), Samford University's The 25th Annual Putnam County Spelling Bee (Olive), SPRAT Theatre Company's Henri (Izzy), CAP21's Alone In The U.S. (ZuZu), and Merry-Go-Round Playhouse's Seagirl (Seagirl). B.F.A. : Samford University, CAP21's Professional Program. She is grateful to be a part of this show! Many thanks to her family and friends for their support. "Love you tons Hunter!" Eph 2:10. Annie Kaiser (Director) directed Broadway Rose’s productions of The 25th Annual Putnam County Spelling Bee and Whodunit the Musical, and began directing their summer children’s productions in 2009. Annie appeared most recently as Muzzy van Hossmere in Thoroughly Modern Millie at Broadway Rose. Other Portland-area roles include: Mrs. Paroo in The Music Man and Mama Morton in Chicago (Broadway Rose), Martha Watson in White Christmas (Lakewood Theatre Company), Miss Nelson/Viola Swamp in Miss Nelson is Missing (Oregon Children’s Theatre), and Isabel in Crossing Delancey (Magdelyn). Some favorite roles include Nurse in Romeo and Juliet, Anita in West Side Story, Annie Sullivan in The Miracle Worker, and Mrs. Gibbs in Our Town. Annie received her training at University of Washington and is the Performing Arts Coordinator and Leadership Advisor at West Linn High School. Jeffrey Childs (Musical Director). Originally from Chico, CA, Jeffrey has been the staff accompanist at California State University, Chico; as well as the cofounder of Theatre, ETC, a musical theatre program for children. 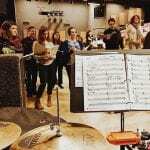 He has also helped develop shows with the Broadway Junior program at Music Theatre International. Previous Broadway Rose credits include A Very Merry PDX-mas, Church Basement Ladies, The 25th Annual Putnam County Spelling Bee, A Taffeta Christmas, Oklahoma!, Grease, The World Goes ‘Round (PAMTA, Drammy), Plaid Tidings, I Love You, You’re Perfect, Now Change; and The Andrews Brothers. 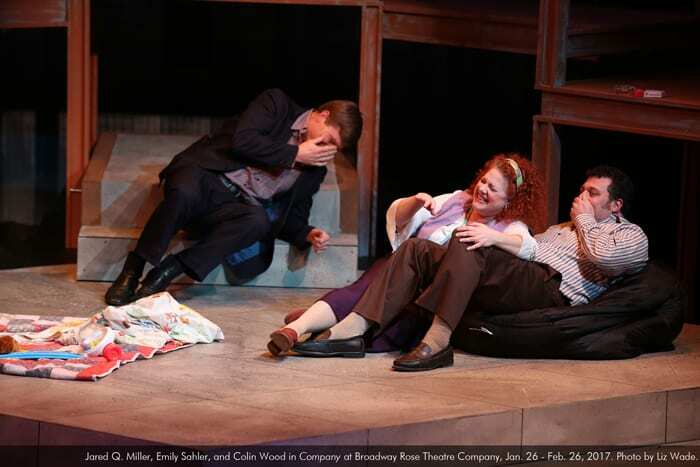 Other credits include: Music Director – A Year With Frog & Toad (Oregon Children’s Theatre), Violet (STAGED! 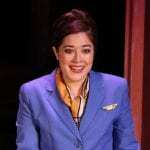 ), Conductor – Little Shop of Horrors and Assistant Music Director – Dreamgirls and Sweeney Todd (Portland Center Stage). Jeffrey also teaches classes and camps at Oregon Children’s Theatre and Stagecoach, Valley Catholic High School, and Robert Gray Middle School. Dan Murphy (Choreographer) is the founding managing director of the Broadway Rose. Over the past 25 seasons he has directed, choreographed and/or performed in over 60 productions presented here. It is a pleasure to work with Annie Kaiser again, having assisted her on last season’s The 25th Annual Putnam County Spelling Bee and looks forward to being an actor to her director in Gypsy this summer. 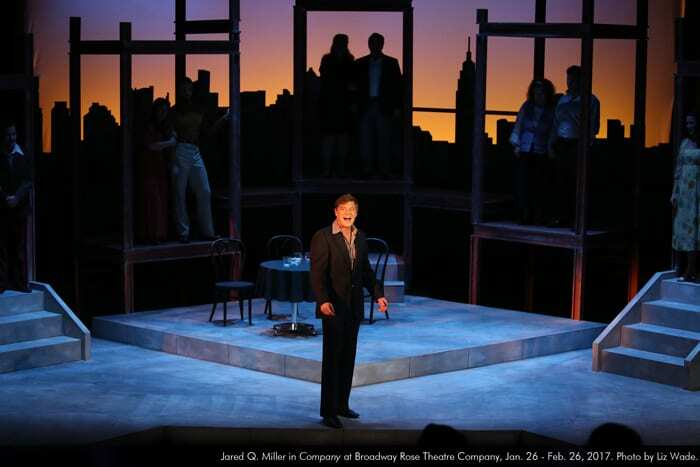 Larry Larsen (Scenic Designer) has been designing scenery and lights professionally in Portland for the last 28 years. This is his second show for Broadway Rose where he last designed Adrift in Macao. Recent design work includes Commedia Italiana for Portland Revels, where he has been the resident set designer since 2001, Mr. Kolpert for Third Rail Repertory Theatre, Junie B. Jones at Oregon Children’s Theater, and This Random World for Portland Actors Conservatory. 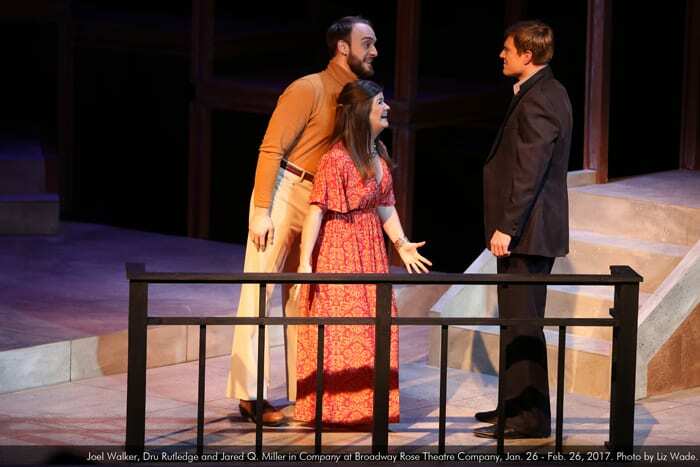 This past summer he designed the scenery and lighting for Mock’s Crest production of Ruddigore for which he is also the Producing Artistic Director. Larry has also designed for Artists Repertory Theatre, Theatre Vertigo, Portland Repertory Theatre, Tygres Heart Shakespeare Company, Northwest Children’s Theatre, Summer Repertory Theatre in Santa Rosa, Portland Civic Theatre, and the Oregon Shakespeare Festival/Portland, where he was the design associate for six seasons. Larry is the chair of the Department of Performing and Fine Arts at the University of Portland where he has taught fine art, design, and theatre production for the last 23 years. He has an M.F.A. from the University of Washington in scenic and lighting design. 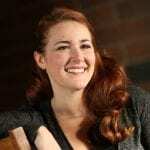 Brynne Oster-Bainnson (Costume Designer) earned her degree from Drew University. She started out as a high school intern back in 2009 and is now the wardrobe supervisor at Broadway Rose. She also has designed multiple productions including The 25th Annual Putnam County Spelling Bee, Fly By Night, and A Very Merry PDX-mas. She is also the costumer for St. Mary’s Academy and David Douglas High School. Some of her recent costume credits outside of Broadway Rose include The Nether and The Flick (Third Rail Repertory) and db (CoHo Productions). 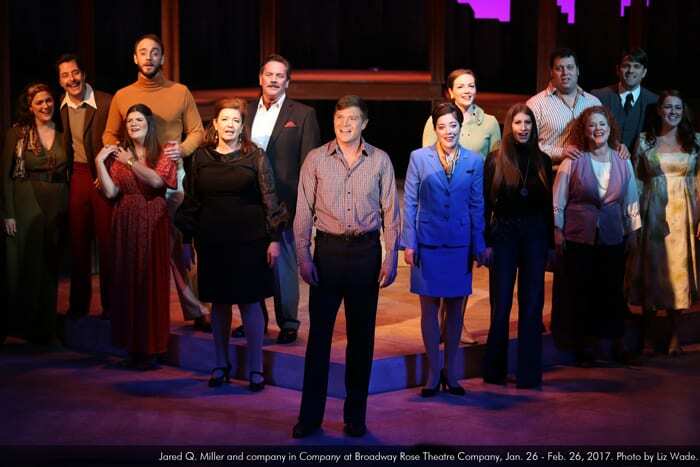 Jon Ares (Lighting Designer) returns to Broadway Rose after an 18-year hiatus. Previously, Jon designed lights for Hello, Dolly!, Lucky Stiff, Bye Bye Birdie, The Fantasticks, A Day in Hollywood/A Night in the Ukraine, and others. Around Portland, Jon has designed at Lakewood Theatre Company, New Rose Theatre, Portland Repertory Theatre, Actors Repertory Theatre, Tygres Heart Shakespeare Company, Musical Theatre Company, Interstate Firehouse Cultural Center, Miracle Theatre Company, NW Theatre of the Deaf, Portland Black Repertory, and many others. Jon has also designed at theatres and universities around the United States. Jon is currently the resident set and lighting designer for the West Linn High School Theatre Arts Program. Jim Crino (Prop Designer) is pleased to be returning to Broadway Rose for his 41st production, having most recently designed props here for A Funny Thing Happened on the Way to the Forum. Jim is a local actor, director and designer. He is currently the primary costume designer for both the Oregon Symphony’s Kids Concerts and Red Shoes Productions. Jim is a proud graduate of The Ringling Bros. and Barnum & Bailey Clown College, a member of SAG/AFTRA, and can occasionally be seen as Leroy Estes on NBC’s Grimm. Phil McBeth (Technical Director) is proud to be the resident technical director of Broadway Rose. 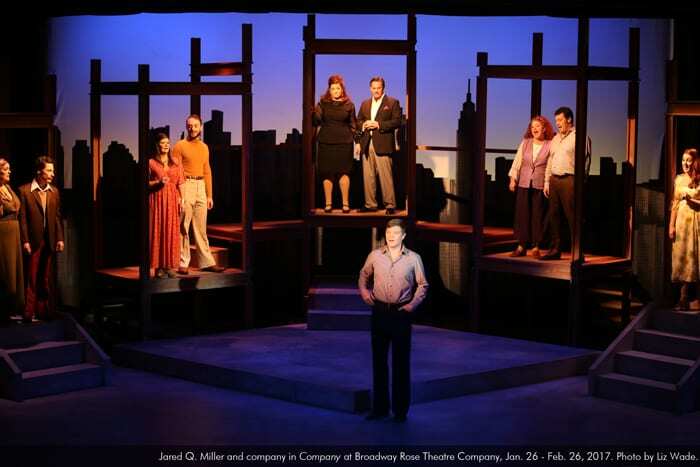 He has also been designing lighting for years at Broadway Rose, including such shows as West Side Story, The Bikinis, Whodunit…The Musical, A Christmas Survival Guide, Grease, Adrift in Macao, and A Taffeta Christmas. Musical theatre and dance have always been a passion of his. Phil started his career at Sam Barlow High School and went on to college in Seattle at Cornish College of the Arts. He then returned to Oregon and was hired as the technical director of the Majestic Theatre in Corvallis, Oregon. There he worked on his craft of lighting shows as well as freelance lighting on the side. He has also worked with the Hult Center resident dance company, Dance West, Oregon Children’s Theatre, Stumptown Stages, and Mt. Hood Repertory. Brian Moen (Sound Designer) is proud to serve as the resident sound designer for Broadway Rose this season. Brian’s recent shows with Broadway Rose include sound designing Fly By Night, A Funny Thing Happened On The Way To The Forum, and West Side Story. Brian began his professional sound designing career with Stumptown Stages, where he won a PAMTA for sound designing Ain’t Misbehavin’. Brian would like to thank the theatre community and his wife, Andrea, for all she does. Jeff Duncan (Production Manager) joined the Broadway Rose staff in 2014 and has designed props for A Very Merry PDX-mas, The 25th Annual Putnam County Spelling Bee, Whodunit…The Musical, and The World Goes ‘Round. He began his theatre career in creative development at Music Theatre International where he worked with the Broadway Junior team and was featured as a props specialist on instructional DVDs. In 2006, he co-founded Theatre ETC, a children’s theatre in Chico, CA. Thanks to Jeffrey, Judi, Warren, and Jenni. Jessica Junor (Stage Manager) This is Jessica’s eighth season stage managing with Broadway Rose and her fourth season as the Resident Stage Manager. She is often found working as an electrician as well. Jessica is grateful to work in this close-knit environment where everyone involved is treated like part of a family. Some shows she has worked on are: A Very Merry PDX-mas, Fly By Night, West Side Story, Church Basement Ladies, A Taffeta Christmas, Adrift in Macao, Thoroughly Modern Millie, Grease, The Music Man, The Bikinis, Plaid Tidings, Cats, Always…Patsy Cline, The Drowsy Chaperone, Hairspray, Joseph and the Amazing Technicolor Dreamcoat, G.I. Holiday Jukebox, Honky Tonk Angels, and Forbidden Broadway. She also works with IATSE Local 28, the professional stagehands union in Portland. It takes a special kind of performer to fill shoes that were once worn by both Elaine Stritch and Patti LuPone. [Luisa] Sermol does this with ease. Her “Ladies Who Lunch” well deserved a standing ovation. Read more. 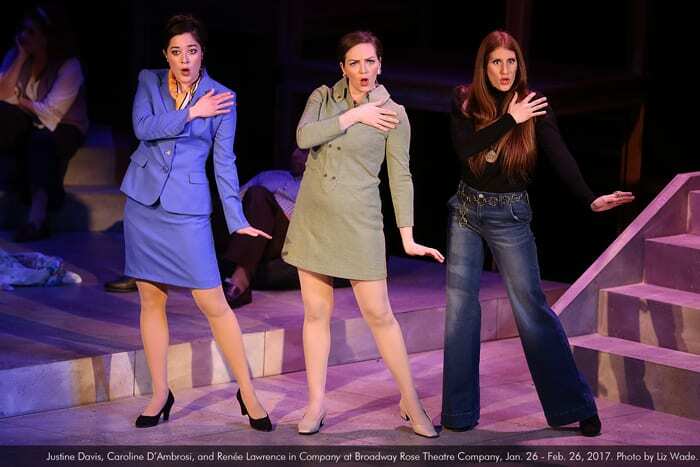 Of the many clever songs and delightful moments in Company, my favorite was the song “You Could Drive a Person Crazy” sung by Robert’s three girlfriends… Read more. [Justine] Davis is simply amazing…a sparkling comic, without a trace of self-consciousness in her delivery. Her duet with Miller, “Barcelona,” is the kind of gem that could stand alone… Read more. 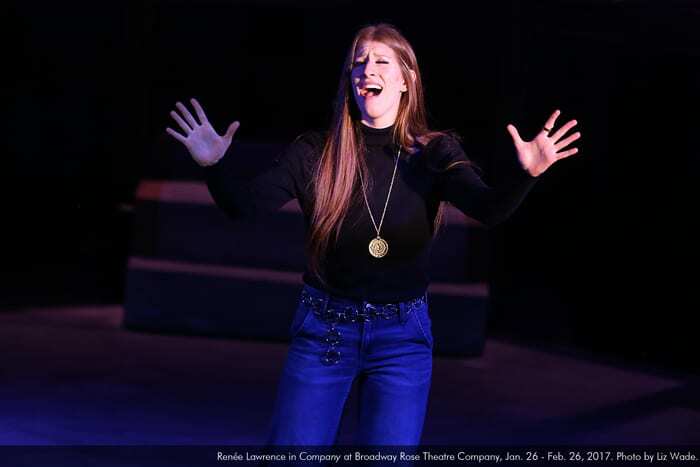 Renee Lawrence, in her Broadway Rose debut, also gives a standout performance as Marta.She’s the young, artsy newcomer to New York and her ode to the chaos of the city, “Another Hundred People” is a highlight. Read more. 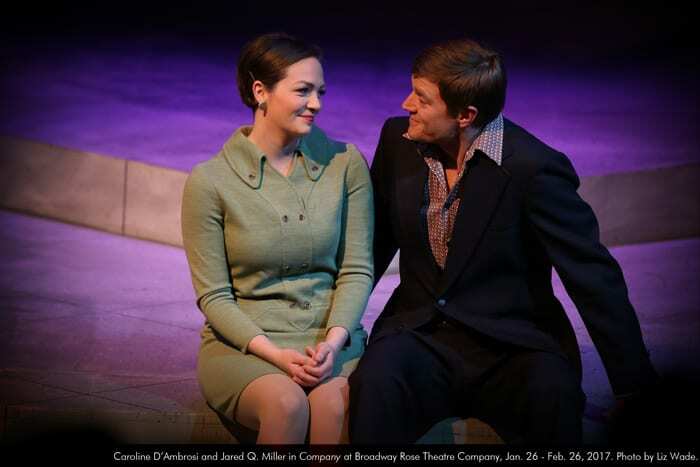 Andrea Enright is still grieving the loss of her husband but returning to acting is bringing new joy…”When I left New York, I thought I’d never act again, but now that I’m back on stage, I’ve fallen in love with the theater all over again.”Read more. 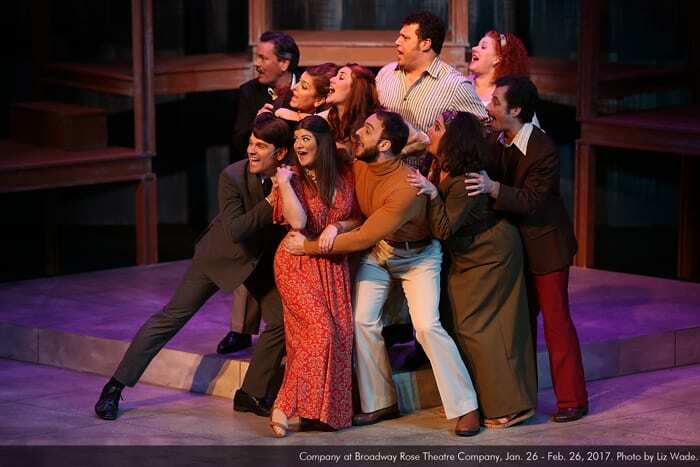 Browse social media highlights and peek behind-the-scenes of Sondheim’s ‘Company’ at Broadway Rose Theatre Company, playing January 26 – February 26, 2017 in Tigard, Oregon. See more. Looking for our press page? Click here. Of course, I love Stephen Sondheim’s work. Okay, let’s adjust that: I used to love Stephen Sondheim’s work. After having been immersed in Company for several weeks, the feeling I have now is more like awe. Or, almost…disbelief. 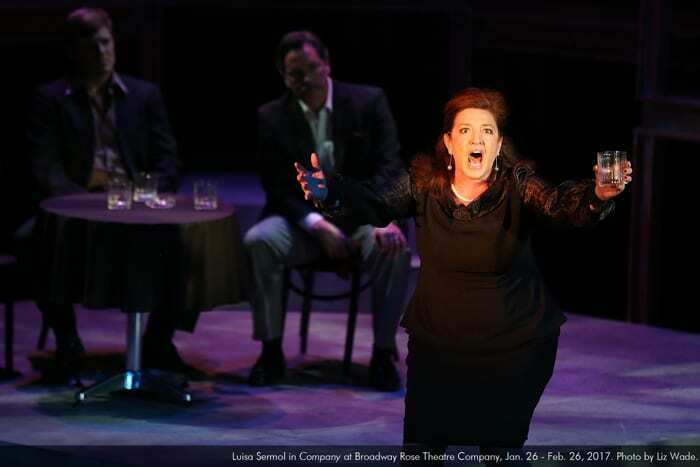 Because enjoying Sondheim as an audience member or even as a performer is one thing. But when one is awarded the task of shepherding a cast and creative team through the process of interpreting one of his creations, one becomes aware of how brilliantly talented and insanely smart Sondheim really is. I have felt a monumental responsibility to try to honor his genius and passion. Luckily, because almost 50 years have passed since Company was first produced, and it is a Tony Award-winning musical that revolutionized the art form, a wealth of information has been published – interviews, analysis, and even Sondheim’s own reflections. I have read it all multiple times, becoming alternatingly overwhelmed and enlightened. Excited AND scared. And the most invaluable realization that I came to is that no matter how innovatively complicated the form, ostentatiously literate the lyrics, or confoundingly obtuse the main character might seem to be, what lies beneath all of it is stunningly straightforward: Company is a story about a man reflecting, or, as Sondheim puts it, “the story of what happens inside Robert.” Well, telling a human story is simple. If one can trust that Sondheim, George Furth, and Hal Prince already took care of the complicated business of deciding HOW the story would be told, then our job becomes quite simple. Directing Company has been the most exhilaratingly challenging artistic experience I have had thus far, and I feel incredibly fortunate to have been able to collaborate with our brilliant cast and masterful creative team to share Company with you.